Record number of Axia Achievers at Senior Aerospace Bird Bellows! Axia have had 50 learners achieve all at once at the Congleton based firm Senior Aerospace: Bird Bellows. 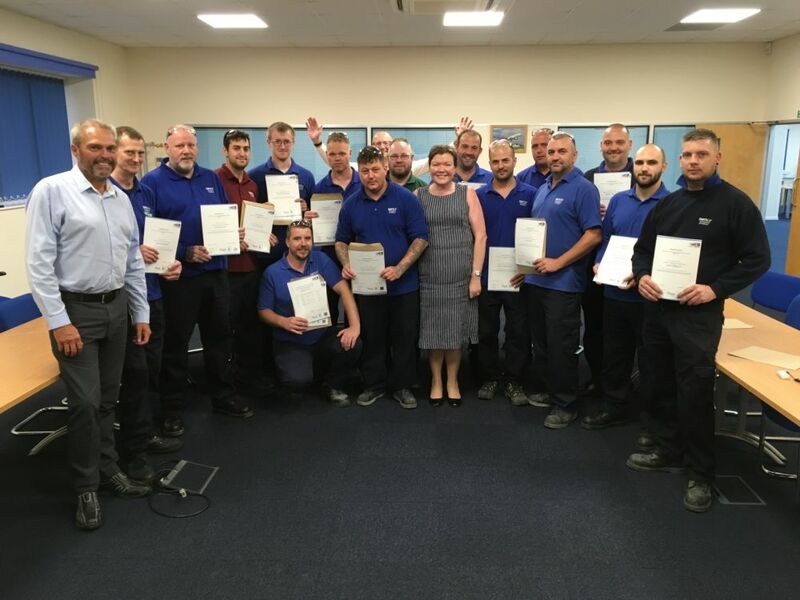 All of the learners were on the "Performing Manufacturing Operations" apprenticeship course, and have all achieved the qualification as well as developing their interpersonal skills at the same time. Senior Aerospace Bird Bellows are a leading designer and manufacturer of precision engineered metallic bellows for industrial fluid control and aerospace applications. Bird Bellows products are integral to the pneumatic systems of all Airbus and many other aircraft programs. Below is The Bird Bellows team alongside our Work Based Trainer Andy, and Axia MD Paula. This partnership has remained strong between trainer and company, and we applaud the positive outlook that the firm has on work-based development and training. We look forward to the continued development and partnership that makes our surrounding area stronger. Above are the happy learners of Bird Bellows alongside our Work-Based Trainer Andy. After speaking about apprenticeships with Emma Kelsall at Bird-Bellows, she said "we really do believe that developing our teams both from a technical work perspective and also from a personal perspective will bring real benefits both to the business and to the employee. We really appreciate how accommodating and supportive the Axia team are."